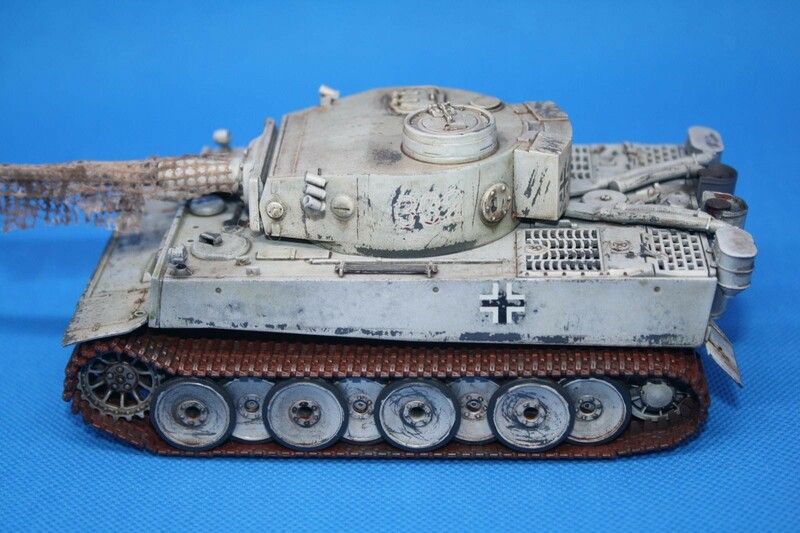 This is a 1/48 Tamiya Tiger that I did a couple of years ago but only just now got around to putting it on electrons thanks to my handy dandy new photo booth. Its also my first attempt at trying to use the hairspray chipping technique, and let me tell you, if you’re bald like me you get a whole lot of weird looks when you go to the checkout with a can of AquaNet. I like it. What’d ya use to drape over the gun…? Thanks. Its a piece of gauze from my well exercised first aid kit that I pulled apart and some strands out, then dipped in a white glue and acrylic paint mix. Michael, Very nice, especially the paint work. I like it a lot ! 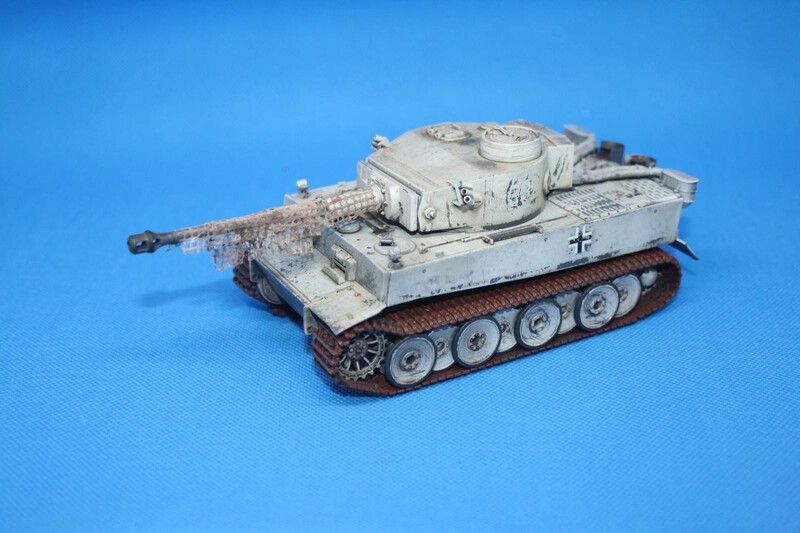 Very nice frosty whitewash on this Tiger I initial! Well done! 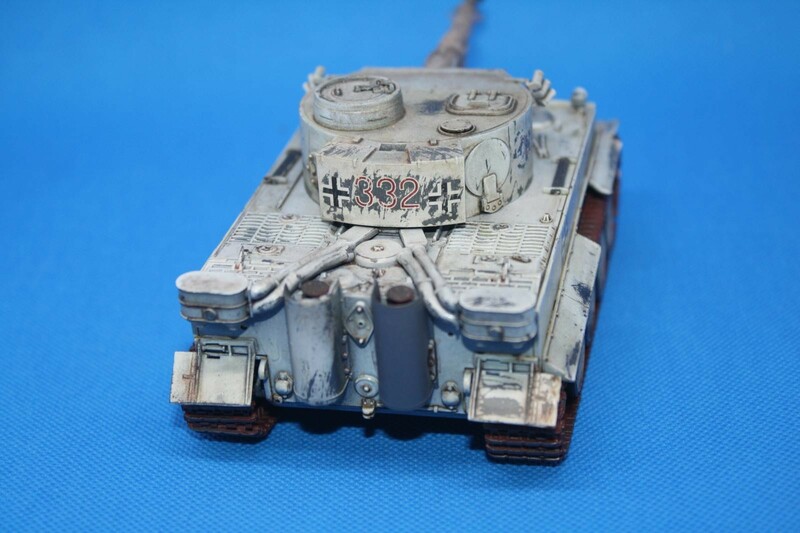 Very nice winter Tiger, Michael. The chipping has worked beautifully. Nice work, Michael. Haven’t seen too many 1/48 armor since I’ve joined. Good job! Really well done, Michael! Like Craig, I’d like to know what you used for the netting draped over the gun. Great efforts on these first/early attempts of new techniques. Funny story about your checkout expeirence. Had similar experience when I bought all the knitting needles from a secondhand store. They were about 50 at 10 cents each _ a great source of plastic and aluminium rods of different sizes. The cashier women asked if I was starting a knitting class. Nice job Michael. I haven’t tried this method yet, but it’s on my list of things to learn. I laughed at the Aqua net line too. 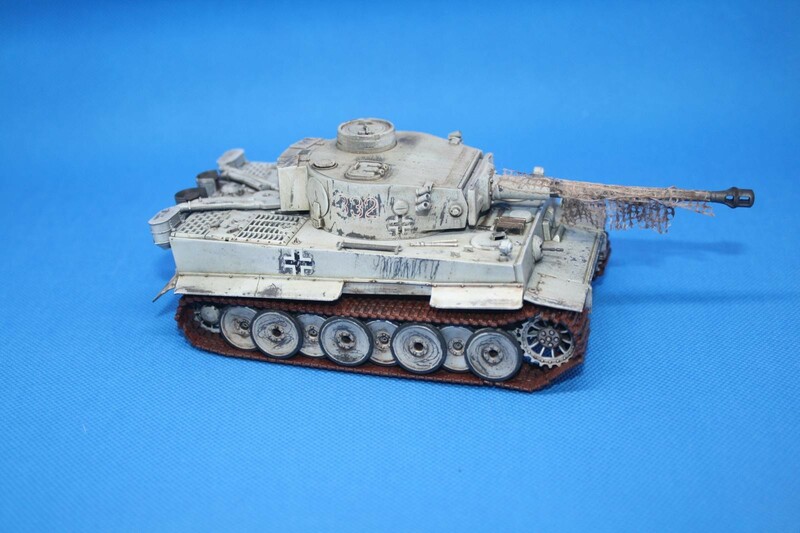 Great job on that Tiger!